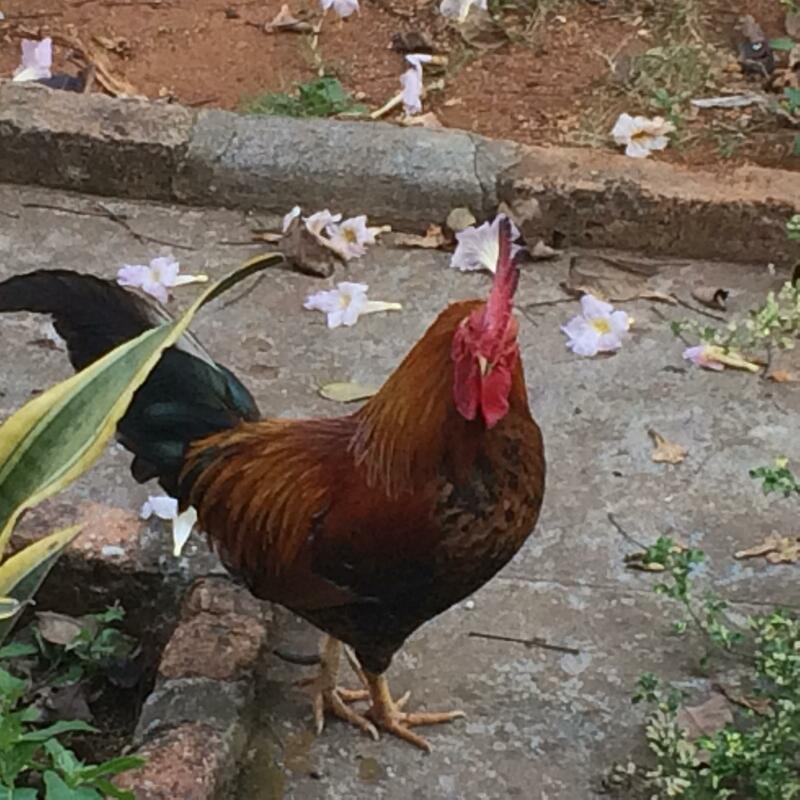 It was curious to me, never having visited a large metropolitan area where a chicken could roam unmolested. I chased it around for a little while in order to get a picture. The chicken looked at me funny as it was running away. I think it thought this particular human is not quite of sound mind. 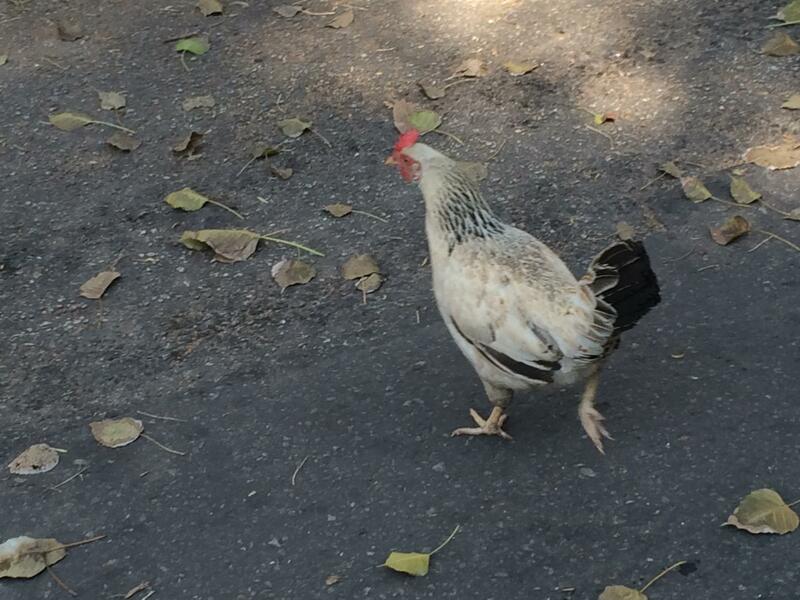 I wondered if perhaps this urban free-range chicken was an anomaly. Perhaps the chicken escaped an urban farm? if it was her chicken. It was not hers, nor was it the café owner’s. “It’s here all the time,” she said. What started out as a curiosity very quickly became an obsession, after I visited a local fruit and vegetable market. 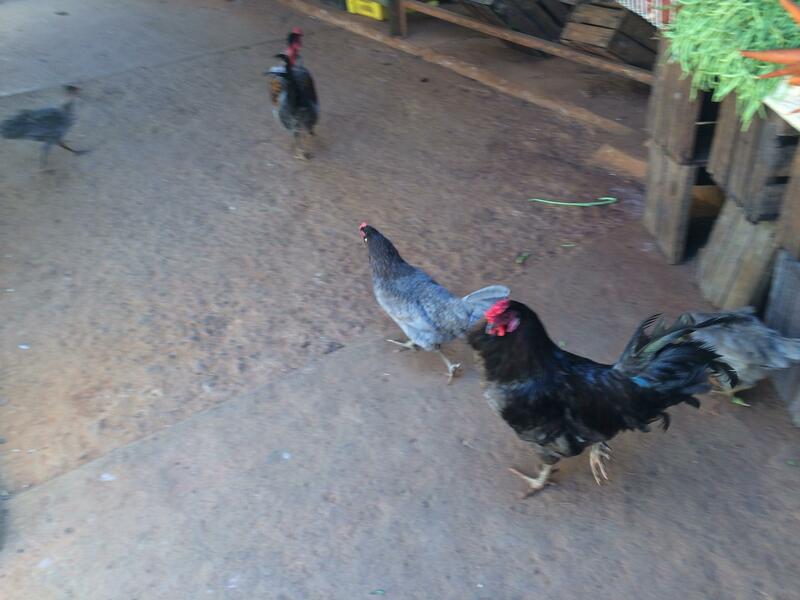 There was an amazing array of chickens – small, medium and large, white, mottled, red and black - all over the place. They were not afraid either. Nor could anyone tell me who owned them. I was amazed. How long would free-range chickens last on the streets of an American city, before someone decided to chicken-nap them? I asked one of the market vendors who owned the chickens? He looked at me as if I were not quite of sound mind. “Do you want to buy one?” he asked. I am pretty sure he was kidding me. Then, one of the chickens – rooster, rather - began crowing. Enormous, prideful crows, and with the background music in the market (there is music everywhere you go in Havana), it sounded as if he were singing in time to the music, like a Bremen Town Musician. 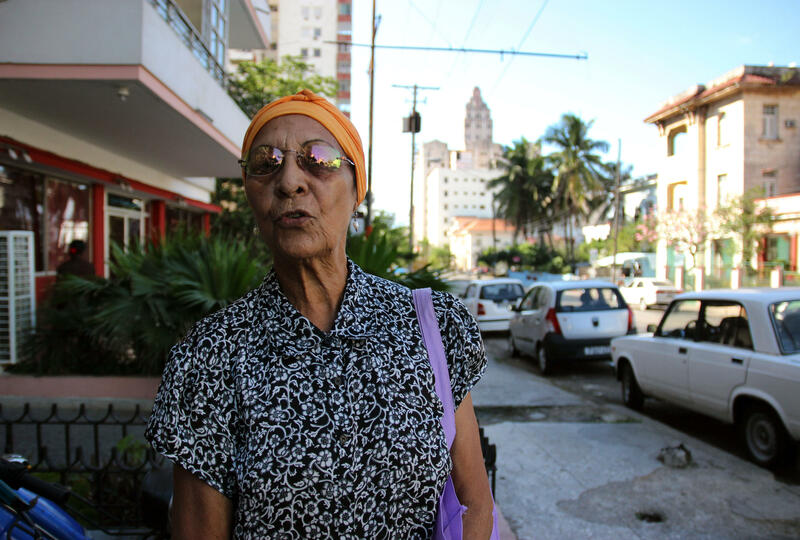 There is a palpable lack of fear among humans in Havana, as well. Unlike many large cities in the U.S., people usually look each other in the eye as they pass. (I call it the Cuban stare – it becomes more intense if the person cannot quite place where you are from.) People in general are friendly and quick to strike up a conversation. The city is reputed to be one of the safest for tourists (and residents) in the world, and so far our experience bears this out. That’s not to say there is no theft, assaults or other crime. But a number of Cubans we spoke with assured us that our feeling of safety was grounded in fact. 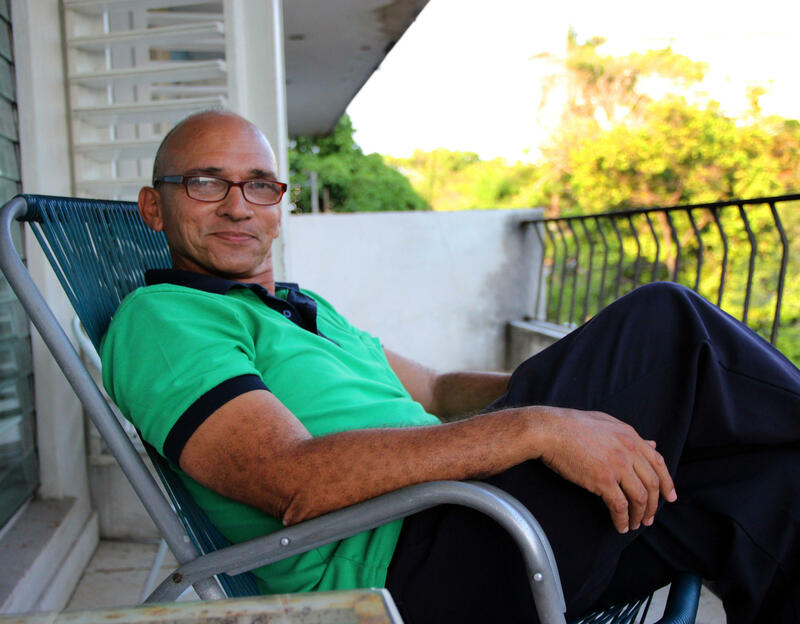 Danilo Gomez, a professor of law at the University of Havana, tells us Cuba has low rates of crime for two primary reasons: free universal education and neighborhood organizations knowns as CDR’s. 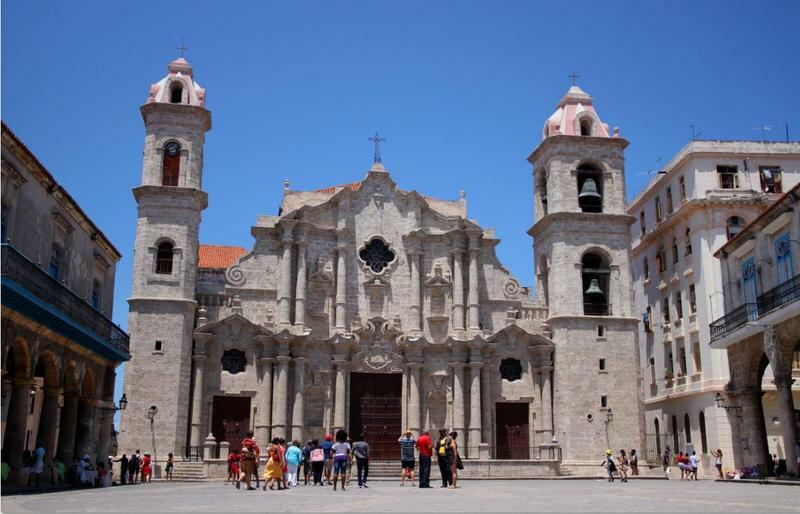 Education in Cuba is free, from kindergarten through 12th grade. There is a near 100% literacy rate in the country. Education gives people more opportunities for gainful employment throughout their lifetimes. Then there’s the CDRs, organizations which meet monthly in every neighborhood and discuss solutions to problems they see. Things like kids getting into trouble tend to get nipped in the bud via the work of these groups, which any citizen can join. 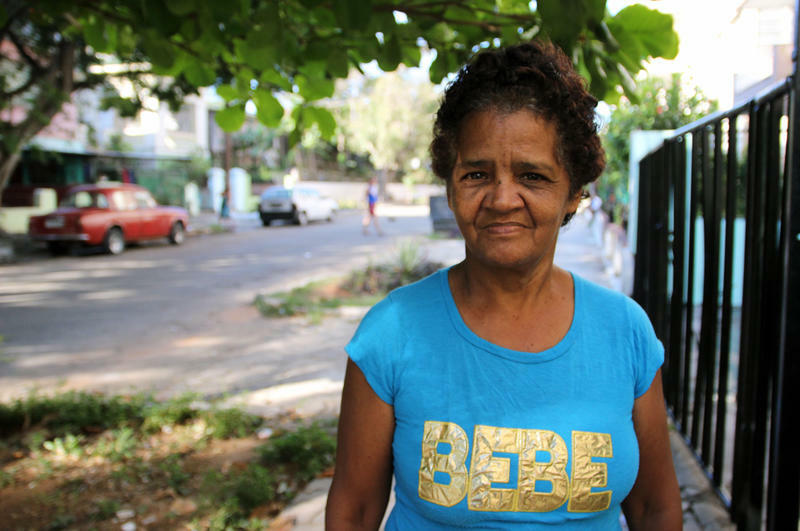 Elsa Monterro, who studied political science and sociology at university, says another reason there is so little crime is that children in Cuba grow up under the watchful eyes of everyone in their neighborhood. She says they receive nurturing and guidance from the larger community as well as their own families. Despite high rates of poverty, children are relatively secure, and more secure children grow up to be more secure adults. Cuba has many problems, but rampant crime is not one of them. Okay, so this is not a chicken. It’s a peacock. I saw it, along with its mate, in the inner courtyard of the Palacio de los Capitanes Generales in Habana Viejo (Old Havana). It was not afraid. Not in the slightest. And I swear, it gave me the Cuban stare. 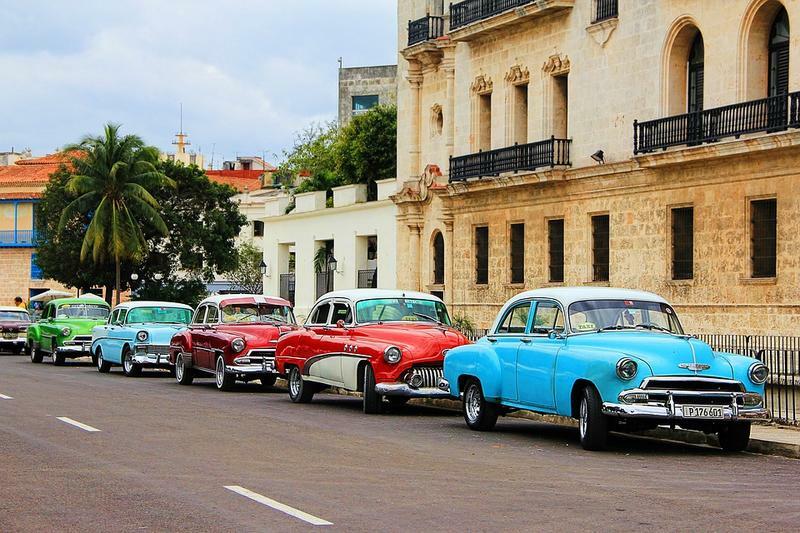 Michigan Radio's Tracy Samilton and Mercedes Mejia are in Cuba this week to cover the connections between Cuba and Michigan and opportunities for the future. You can find more of their stories here. Correction: an earlier version of this story said education is free for Cuban citizens from kindergarten through university. It is free for K-12. University is free for those who pass entrance exams.